Iceland moss (Cetraria islandica). Although this species is commonly known as Iceland moss, it is in fact a lichen. Lichens are symbiotic organisms formed of a fungus and an alga that mutually benefit one another. 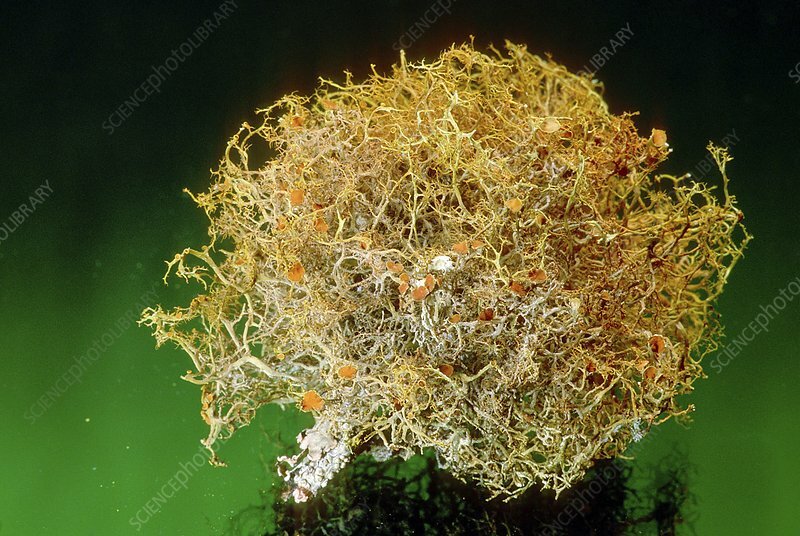 The alga is contained within the hyphae (filaments) of the fungus. They are therefore protected from harsh conditions, and in particular from dessication. The alga supplies the fungus with nutrients that it makes by photosynthesis. Iceland moss is well known for its anti-inflammatory and antibacterial properties.